Callum Tinsley is raising money for @HelpforHeroes on behalf of all the ex-soldiers we employ. 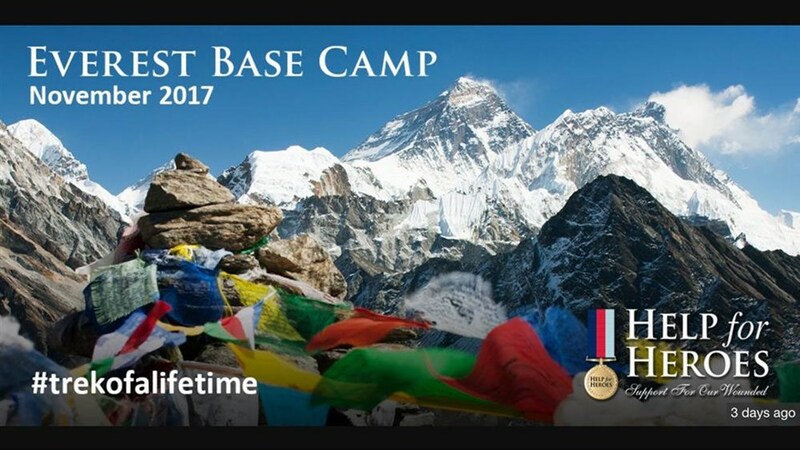 The Everest Base Camp Trek is an extreme and once in a lifetime challenge undertaken by all abilities, from people with life changing injuries to serving soldiers and everyday civilians, all with the shared goal to raise much needed funds so Help for Heroes can continue to deliver world class care, support and treatment to injured personnel today and in the future. The trip will last a total of 19 days, including travelling to and from Nepal, trekking between 6-8 hours on average each day.